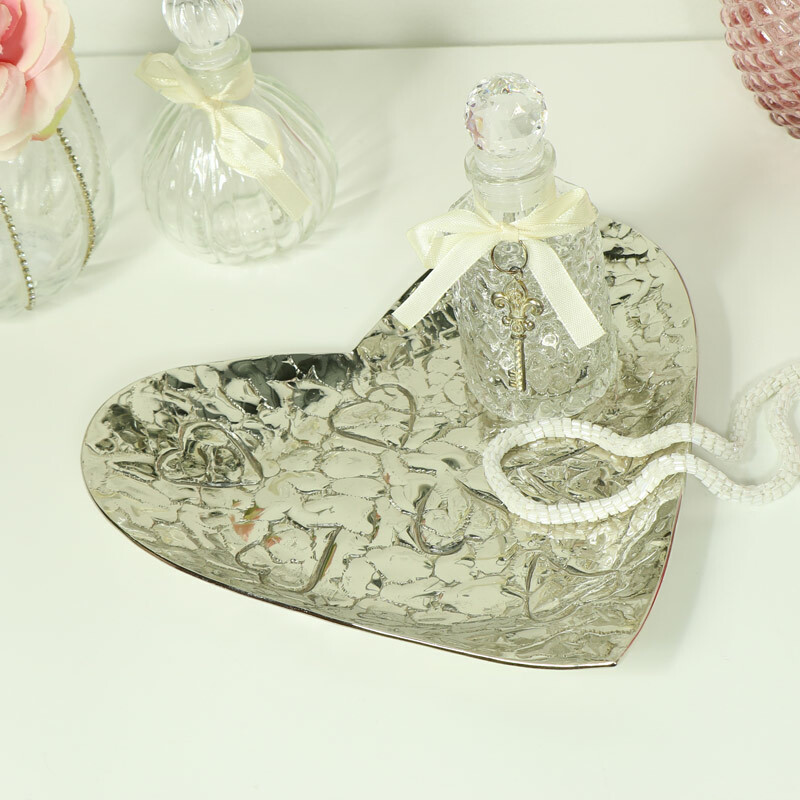 Decorative heart shape silver bowl with embossed detailing. Wonderful vintage look, use as part of a wedding display, a glam fruit bowl or trinket dish. Polished silver metal that shines when it catches the light. This will add some vintage elegance to any home decor. Wonderfully stylish and decorative, this offers a practical purpose or ornamental display. 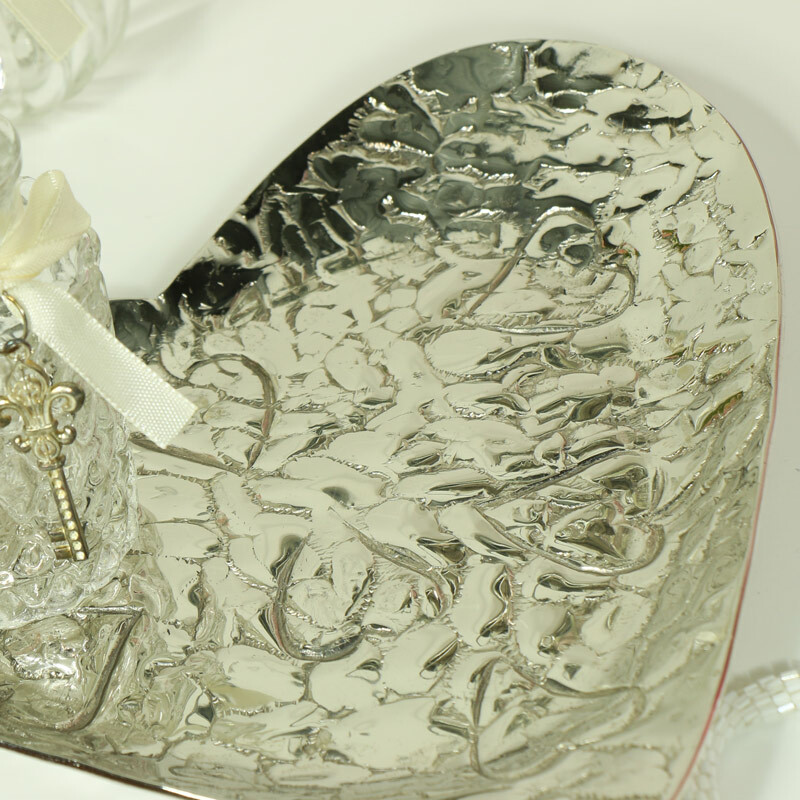 Decorative heart shape silver bowl with embossed detailing. Wonderful vintage look, use as part of a wedding display, a glam fruit bowl or trinket dish. Polished silver metal that shines when it catches the light. This will add some vintage elegance to any home decor. Wonderfully stylish and decorative, this offers a practical purpose or ornamental display.